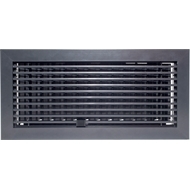 All aluminium construction contemporary floor vent, with powder coating in modern gunmetal (charcoal) colour. Fully adjustable damper to regulate air flow. Lever can be removed if preferred. 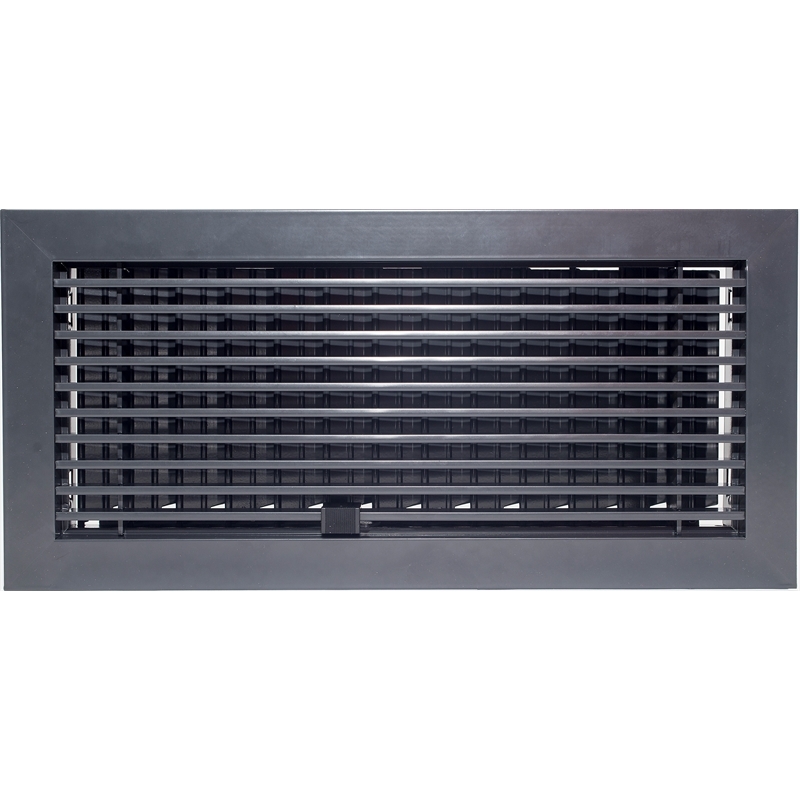 Aluminium damper box with eleven blades to regulate air flow.